The Women’s Auxiliary is an active part of the association. The auxiliary began in 1928 and provided activities as fundraisers to financially support the upkeep of the campground. It later expanded its ministry to give to the needs of others. Presently, we are a community of women whose mission is to know God and to experience freedom as whole persons through Jesus Christ. We seek to develop a creative, supportive fellowship and expand concepts of mission through participation in ministries. 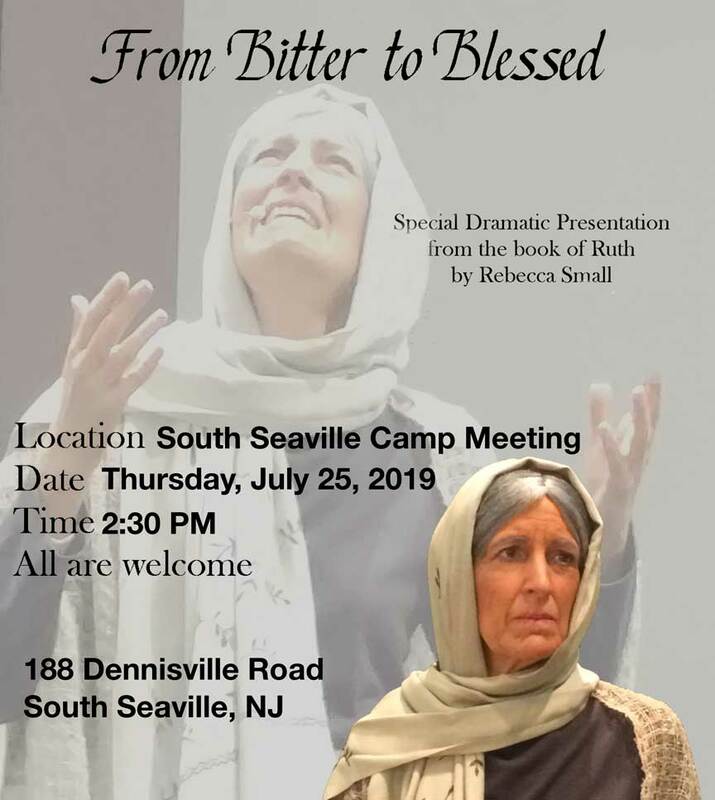 A special program will be presented featuring Rebecca Small. She is a student of the Bible and loves to encourage believers with the life-giving truths of God’s Word. Reservations for dinner must be made by July 20th. PO Box 524, South Seaville, NJ 08246.